Herman Timberg: Pivotal in the Career of the Marx Bros.
Herman Timberg (born on this day in 1892) is best known today for a pivotal sketch he wrote for the Marx Brothers (variously titled “On the Mezzanine Floor”, “On the Mezzanine” and “On the Balcony”). He got his start in vaudeville in the Gus Edwards revue “School Days”, later formed a duo with his brother Sammy, best known as the musical maestro behind the Fleischer cartoons of the 30s and 40s, e.g., Popeye, Betty Boop, Superman etc., and eventually became a sort of vaudeville Renaissance man: songwriter, sketch writer, dialect comedian, and musician (piano and violin). He also wrote for the likes of Clark and McCullough and many others. His son Herbert was also popular in vaudeville and films under the name “Tim Herbert” (he formed a sort of loose team with Pat Rooney, Jr.) Herman passed away in 1952. 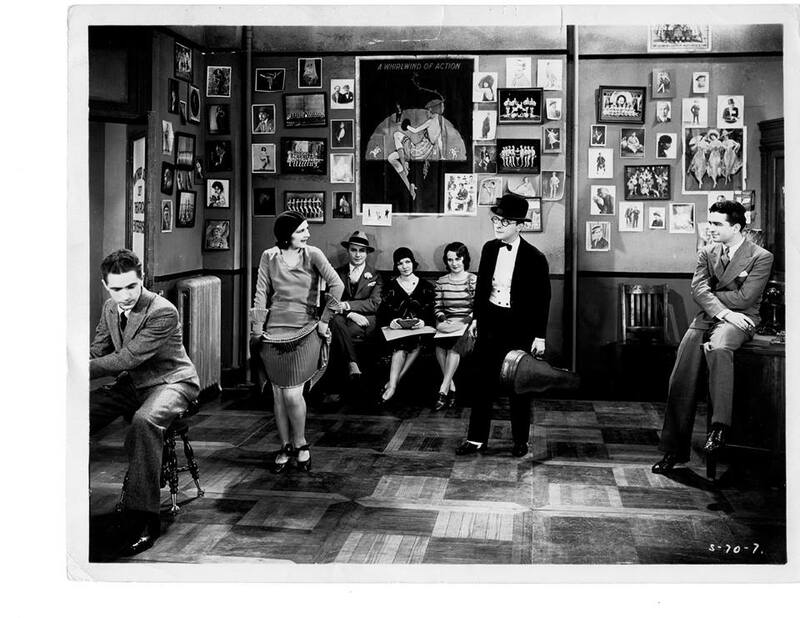 Courtesy Ron Hutchinson of the Vitaphone Project, here is a still — appropriately set in a vaudeville booking office — from Timberg’s 1929 Paramount short I Came First. 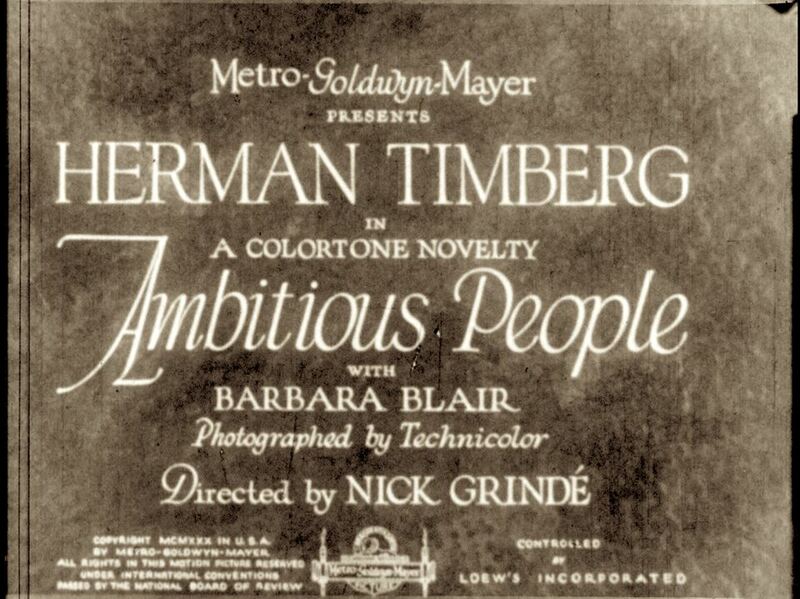 Also, some frames from his 1931 long-lost Technicolor MGM short, AMBITIOUS PEOPLE. 6 minutes in black and white was discovered in Australia earlier this year. For more cool facts on the Timbergs, check out Timberg Alley. To find out more about the the history of vaudeville and artists like Herman Timberg, consult No Applause, Just Throw Money: The Book That Made Vaudeville Famous, available at Amazon, Barnes and Noble, and wherever nutty books are sold.